Whatever the occasion, we can help! Adelaide Hills Party Hire is a local family-owned party hire business, based in Mt Barker offering a reliable service to the Adelaide Hills and beyond. Our equipment is clean and in good condition, and can be delivered to your door at a good price with friendly and reliable service. We can provide all your party hire or event needs for birthdays, weddings, engagements, anniversaries and any other events or functions. We service clubs, schools, community and corporate events including fetes, markets, opening’s, promotional and sporting events. 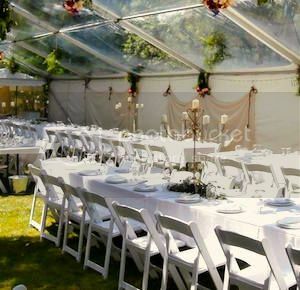 Our equipment range includes pavilions, marquees, tables and chairs, crockery, glassware, cutlery and table linen plus catering equipment, barbecues, heaters and lighting and more. We can also provide sound systems, smoke machines and dance floors for your special event. Our delivery area includes the Adelaide Hills and surrounding areas, Alexandrina, Murray Bridge and Adelaide Metro, and we can also deliver outside of these areas on request. Being a small business, we specialise in being able to personalise our service to suit your particular needs. Please feel free to call or email to discuss your individual requirements.